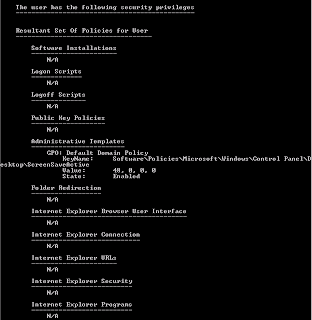 At workstation or servers, users or Administrators can perform "gpresult" in Command Prompt to verify the group policy settings. 1. 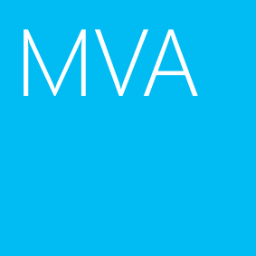 At a domain workstation, log in as a domain user. 2. Launch "Command Prompt", enter "gpresult /r". 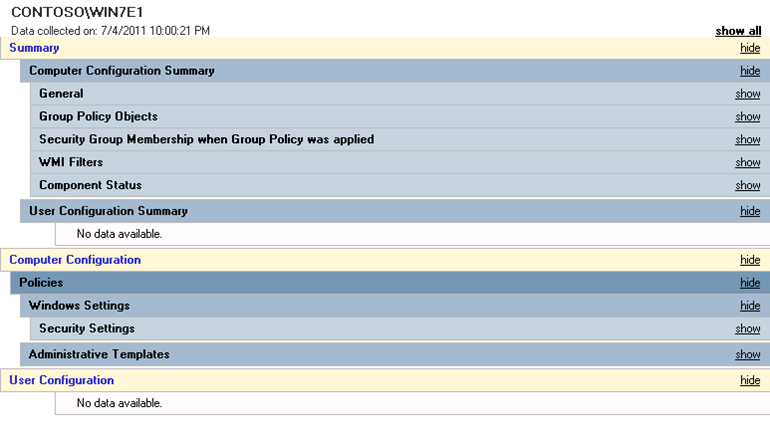 The result shows when I receive the group policy and which policy is applied. 3. For getting more information, enter "gpresult /z". 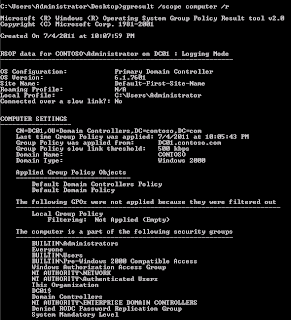 The result shows the group policy settings which are applied. 4. 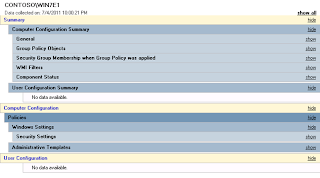 You can enter "gpresult /h c:\users\<User Name>\Desktop\<file name>.html" to export the group policy settings as a html file. 5, Launch the gp.html by Internet Explorer. 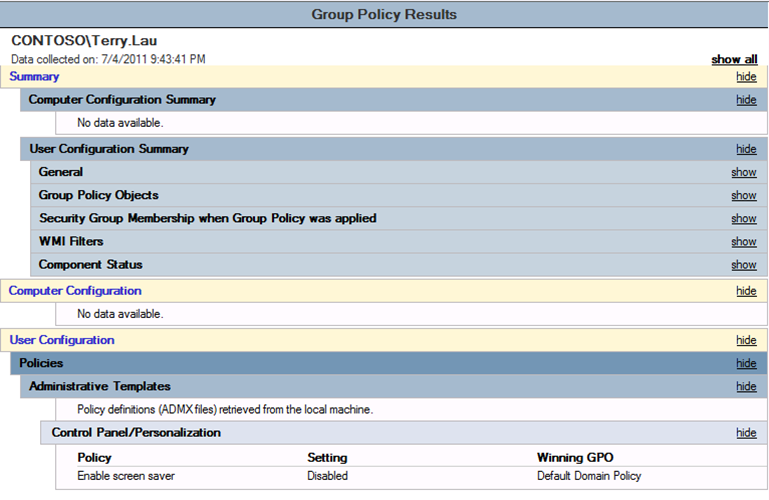 The gp.html shows all user configuration of group policy which is applied to a user. 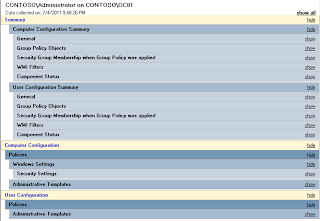 To verify the computer configuration of Group Policy, you have to log in as a user which is granted Administrator rights. 2. Launch "Command Prompt", enter "gpresult /r /scope computer". Remark: There are 2 parameters which are computer and user for /scope. 3. Enter "gpresult /h c:\users\Administrator\desktop\gp.html". 4. Launch the gp.html by Internet Explorer. 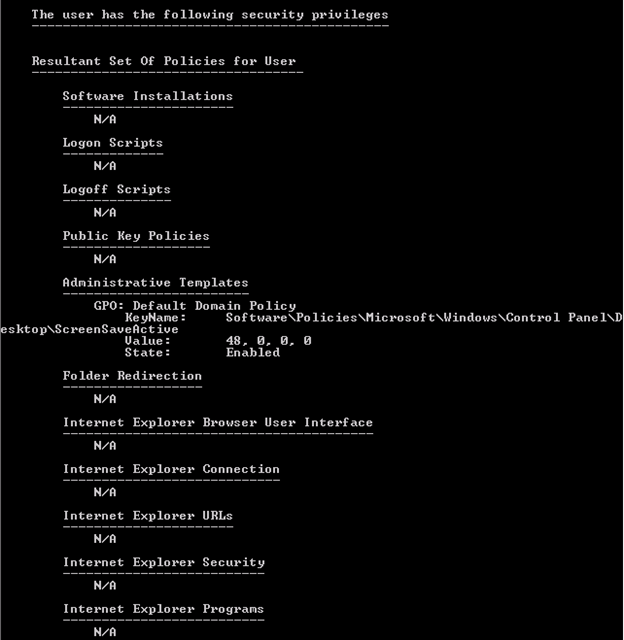 The gp.html shows computer configuration and user configuration of group policy which is applied to a user. 6. Launch the gp.html by Internet Explorer. 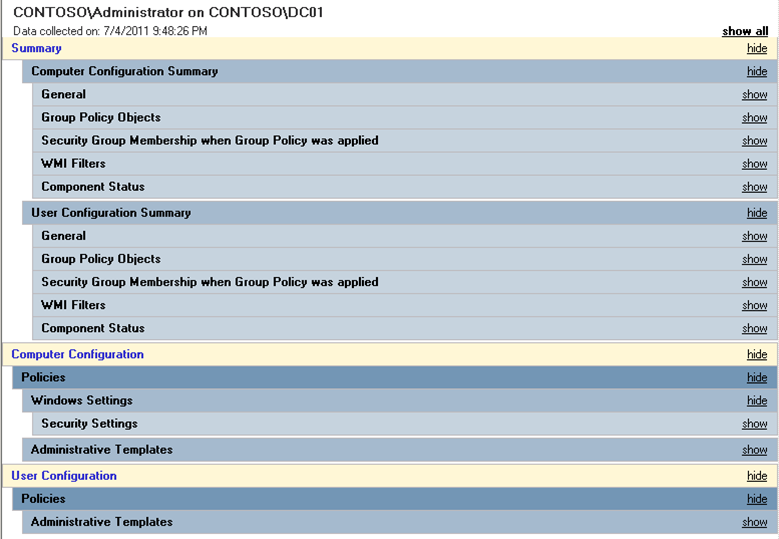 As a result, the group policy settings of remote computer are retrieved.